Get on Board Now – Time is Running Out – Objective Rally Point – December Holiday Dinner Honoring Code of Support Foundation. This Saturday, December 3, 2016, from 6:00 PM to 10:30 PM (EST), Army Navy Club, Arlington, VA. Robert (Bob) McDonald, Secretary, Department of Veterans Affairs, is the distinguished guest and Key Note Speaker. Get registered now. Defense News Early Bird Brief for Monday, November 28, 2016. National Veteran Small Business Coalition (NVSBC) November 2016, First Call Newsletter. Please see attached sent in by Heather Hayes, NVSBC Administrative Services Manager and a USMC Veteran. FYI, there is relative scoop in here for we Veterans doing business with the federal government. Non Commissioned Officers Association – NCOAdvocate Newsletter for Monday, November 28, 2016. Reserve Officers Association (ROA) SmartBrief for Monday, November 28, 2016.  Maryland Department of Veterans Affairs News and Announcements for November 25, 2016. DOD Contracts Awarded on Monday, November 28, 2016. Stars and Stripes: First US service member killed in Syria was a bomb disposal technician. Senior Chief Petty Officer Scott C. Dayton was killed roughly 35 miles northwest of the Islamic State’s self-proclaimed capital of Raqqa. He was assigned to Explosive Ordnance Disposal Mobile Unit 2 in Virginia Beach. Stars and Stripes: Obama administration expands special operations command powers to hunt foreign fighters globally. When finalized, it will elevate Joint Special Operations Command from being a highly-valued strike tool used by regional military commands to leading a new multiagency intelligence and action force. Stars and Stripes: Limits on cash awards to federal employees loosened. Federal employees have received something of an early holiday present, as the Obama administration has boosted by half the amount that agencies may pay in awards for performance or special accomplishments. Stars and Stripes: Pentagon holds GI Bill benefits for reservists. Nearly 300 Marines came home from their seven-month deployment to Central America this week. They have a few things in tow — wood carvings from local artisans and the grit of experience responding to Hurricane Matthew, among the world’s worst recent natural disasters. But the reservists returned without something that most were counting on: seven months of GI Bill benefits. The Denver Post: America’s Veterans can’t wait for slow change. Incremental change doesn’t seem to be working to turn around the Department of Veterans Affairs. We’ve editorialized on such a variety of malfeasance, mismanagement and mayhem within the vast federal bureaucracy that we’re beginning to lose hope that the ship can be righted without massive overhaul. Two bills are floating around Congress in the waning days of President Barack Obama’s administration. Modern Healthcare: Why can’t device makers and insurers get along? After a spinal stroke in 2007 robbed Rick Batty of his ability to use his arms and legs, the then 54-year-old agricultural salesman wasn’t sure he’d ever walk again. Then he found ReWalk, a battery-powered exoskeleton that uses small motors at the knees and hips to help paraplegics stand up and walk. The Argus Observer: New announcements from the VA. The month of November has been quite a busy planning month for the U.S. Department of Veteran Affairs. They have announced several new strategic partnerships. Talk around the coffee table is making several observations about just what the VA considers strategic partnerships. It is prudent however to recognize that any progress is positive, and will hopefully lead to furthering many developments to making better and increasing the quality of service to our veterans. Rapid City Journal: VA head will visit Hot Springs on Nov. 30. As the debate over the future of the federal Department of Veterans Affairs hospital system in Hot Springs nears a conclusion, VA Secretary Robert A. McDonald will visit the Southern Hills city next week. McDonald will host a public town hall meeting in Hot Springs to hear from residents and stakeholders regarding the VA’s future plans for the historic hospital complex. The meeting will be held at 12:15 p.m. Wednesday, Nov. 30, at the theater of the Mueller Center, 801 S. Sixth St. in Hot Springs. The State Journal-Register: Letter: Veteran wishes VA program worked the way it was supposed to. I read with interest your editorial titled “Thumbs up, Thumbs down for this Week” on the Nov. 18 Opinion Page. You gave a thumbs up to the Veterans Choice Program offered through the U.S. Department of Veterans Affairs. It stated VA Choice was created by lawmakers in response to long wait times for care from VA hospitals and doctors. Vets that would have to wait longer than 30 days or drive more than 40 miles would be able to use private health care providers. KHGI (ABC-13, Video): Pet therapy part of VA effort to reach out. “Sometimes just brushing a dog or an animal, it relaxes them. Their guard goes down a little bit and it allows them to feel like they’re connected to something against and there’s that bond, because there’s something unconditional about animals and sometimes they lose that leaving the military,” said Angie Lyon, a licensed clinical social worker and mental health therapist with the Veterans Affairs VITAL Outreach Program. WPVI (ABC-6, Video): Testing App To Help With PTSD. 45 volunteers have signed up to help Texas A&M University test an app which might help veterans suffering from PTSD. It monitors the vet’s heart rate to provide an early warning that a PTSD attack is coming. The high-tech system then tells the vet what’s needed to get through it. Columbia Daily Tribune: VA works to restore lost Veterans’ dignity, Private sector is poor match. Everyone is born with dignity. Sometimes we lose it along the way. Seeing people who have lost their dignity is heartbreaking, and I see it occasionally at Truman Memorial Veterans’ Hospital. Veterans experience trauma that can worsen underlying mental health disorders. It can cause mental health disorders (e.g., traumatic brain injury and post-traumatic stress disorder). And veterans experience high rates of substance use disorders. Rapid City Journal: A Navy Veteran Navigates A Path Out of Homelessness. After nearly a decade of living under bridges and in shelters, Chuck Thompson is grateful to have a lock on his door, a warm bed to sleep in and a television set to keep him company on lonely days. The 54-year-old Navy veteran credits the kind people he’s met along the way, as well as a U.S. Department of Housing and Urban Development program that helps veterans pay their rent for getting him into a one-bedroom efficiency apartment this summer. New Haven Register: Veterans Affairs outreach worker attacked on duty in New Haven. A U.S. Department of Veterans Affairs outreach worker, looking for a despondent veteran who’d called a hotline for help, was the target of an attempted robbery and stabbing Wednesday, according to a press release from police spokesman David Hartman. The outreach worker went to the New Haven Inn, 100 Pond Lilly Ave., sometime before noon to search for the veteran and spotted a man at the rear of the motel. The Tennessean: More Tennessee Veterans opting for cremation. On Nov. 8, while all eyes were fixated on the election of Donald Trump, at the Tennessee state capitol, Many-Bears Grinder surprised her boss, Gov. Bill Haslam, with a unexpected trend. Grinder, the commissioner of the state Department of Veterans Affairs, told Haslam that more and more veterans want to be cremated and interred in columbariums and crypts at the state’s veterans cemeteries, not the traditional burial with picturesque headstone. Temple Daily Telegram: VA Holds Native American Program. The Native American culture prizes honor, pride and family. “It’s a culture I’ve grown to admire and respect,” Sylvia Guillen said as she opened the Native American Observance program held this month at the Olin E. Teague Veterans’ Medical Center in Temple. The event was sponsored by the Native American Indian and Alaska Native Special Emphasis Program at the VA. The New Yorker: The Tragic, Forgotten History of Black Military Veterans. In the week after the election, the Equal Justice Initiative, of Montgomery, Alabama, released a new report—a fifty-three-page addendum to last year’s “Lynching in America,” an unprecedentedly thorough survey of American racial violence and terror between 1877 and 1950. Stars and Stripes Veterans to protest at college that stopped flying US flags. Veterans are planning a protest at a western Massachusetts college facing criticism from around the country for its decision to stop flying U.S. flags after students allegedly burned a flag in protest of Donald Trump’s presidential election. POLITICO Morning Defense for Monday, November 28, 2016. A Daily Briefing from Inside Washington’s National Security. Your 6:00 am GovConWire – Top News from Executive Mosaic. Your 12:00 pm Daily ExecutiveBiz Headlines. Your 5:00 pm Daily ExecutiveBiz Headlines. Virginia Values Veterans V3 Program, Virginia Department of Veterans Services, V3 Training Schedule for November 9th – December 2nd, 2016. http://campaign.r20.constantcontact.com/render?m=1114049469943&ca=7156d493-db8e-4256-9f8d-98745bfcc154 Thanks to Andrew Schwartz, USMC Veteran at Virginia Department of Veterans Services for getting this scoop to us. Maryland Department of Labor, Licensing, and Regulation – List of Job Fairs. Updated every quarter. Sent in by our fellow Veteran, Jorge Cruz, Maryland, DLLR, U.S. Army (Ret). Objective Rally Point – December Holiday Dinner Honoring Code of Support Foundation. Saturday, December 3, 2016, from 6:00 PM to 10:30 PM (EST), Army Navy Club, Arlington, VA. Robert (Bob) McDonald, Secretary, Department of Veterans Affairs, is the distinguished guest and Key Note Speaker. Get registered now. Hope to see you all there! Student Veterans of America National Conference. January 5 through 7, 2017. Join your peers in January 2017, when more than 1,500 leaders in the student veteran community convene at the beautiful Disneyland® Hotel and Resort in Anaheim, California. Register today: http://conference.studentveterans.org/?utm_source=SVA%20Member%20Network&utm_campaign=db7cc9ca77-EMAIL_CAMPAIGN_2016_11_15&utm_medium=email&utm_term=0_47cc5800cc-db7cc9ca77-127346201 SVA was founded in 2008, as a grassroots, chapter-based organization that unites veterans, military family members, and civilians to support veterans’ success in higher education and beyond.